Liczba stron: 399 Jest to ujednolicona liczba stron, która ułatwi Ci porównanie długości książek. Każda strona Legimi to 200 słów. 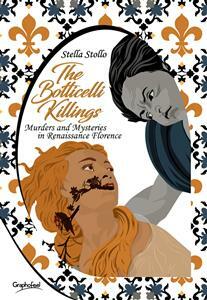 Florence, 1486: a series of murders shocks life in the city.The victims are women belonging to the rich bourgeoisie, and the ruthless assassin seems to take inspiration from the Allegory of Spring, a masterpiece by Sandro Botticelli and his assistant Filippino Lippi. An object is found on each corpse, relating to a detail of the painting: the twig slipped between the lips of a nymph, the red cloak wrapped around the Goddess, the garland of flowers adorning the neck of Spring...Passions and intrigue involve Leonardo da Vinci, Amerigo Vespucci, Lorenzo the Magnificent and other notable figures through the refined and cultured weaving of this tale, in which the eternal battle between Love and Death is fought against the historic backdrop of a magnificent Florence.